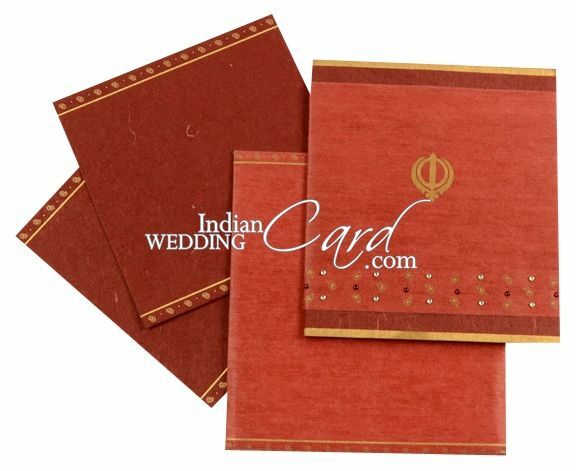 D-272, Red Color, Card with Rhinestones. 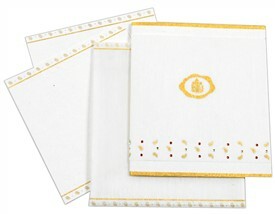 Celebrate occasion with style and élan! 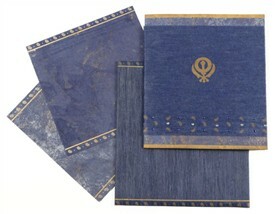 The overlay has a central image of the Holy Khanda symbol in gold and a paisley motif border below with beautiful kundan and zari work. 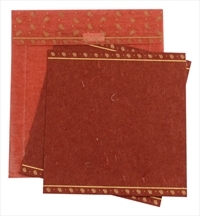 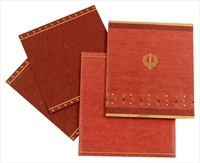 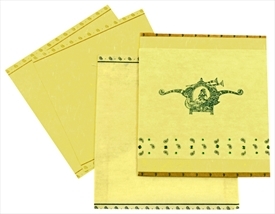 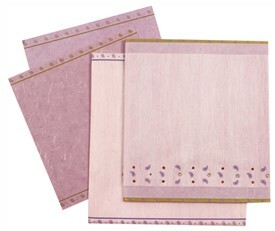 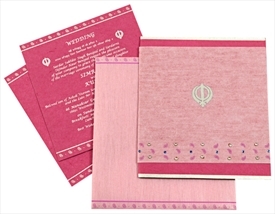 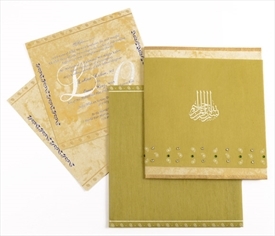 The front has golden borders and the inserts and docket have golden paisley motif borders. 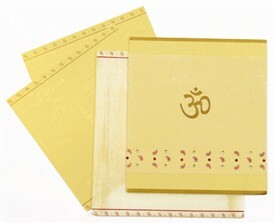 The envelope follows the overall design with similar border and flap base.